This entry was posted by Mollie on Sunday, July 27th, 2008 at 2:02 pm	and is filed under Life & Times, Natalie. You can follow any responses to this entry through the RSS 2.0 feed. You can leave a response, or trackback from your own site. awesome picture taking mollie! 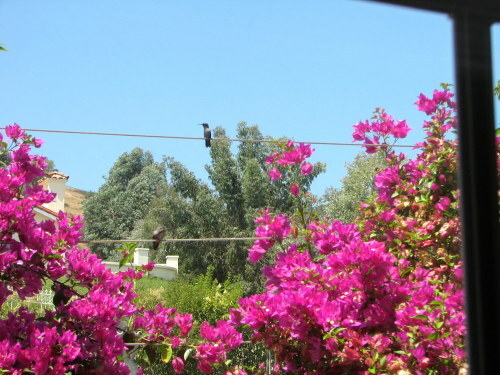 it really shows how pretty your place is..
What fun for Natalie to have the hummingbirds right there where she can watch them! Your place is so pretty with all the flowers. Thank you for sharing. 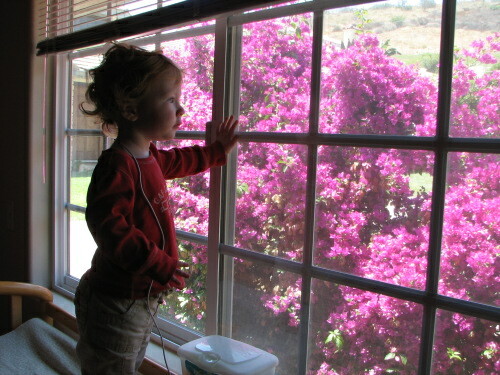 Who knows Natalie may become a lifelong birdwatcher and nature lover. I hope so, because there is so much to see, enjoy and discover. If you would like much more information about hummingbirds, please click the links below. 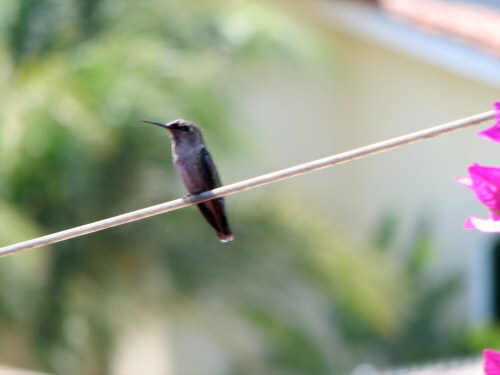 The sites containmany articles about hummingbirds, video clips about hummingbirds, an informative tips booklet on hummingbirds, and much more. Great pictures Mollie! You have such beautiful subjects to work with! What a great view the three of you have!